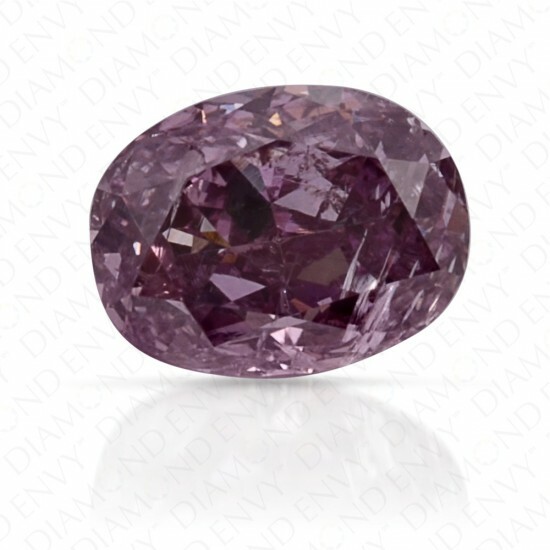 The elegant oval cut shows off the rich pink-purple color of this natural Fancy Pink Purple diamond. A perfectly even blend of purple and pink makes this natural purple diamond's color stand out among the rest. 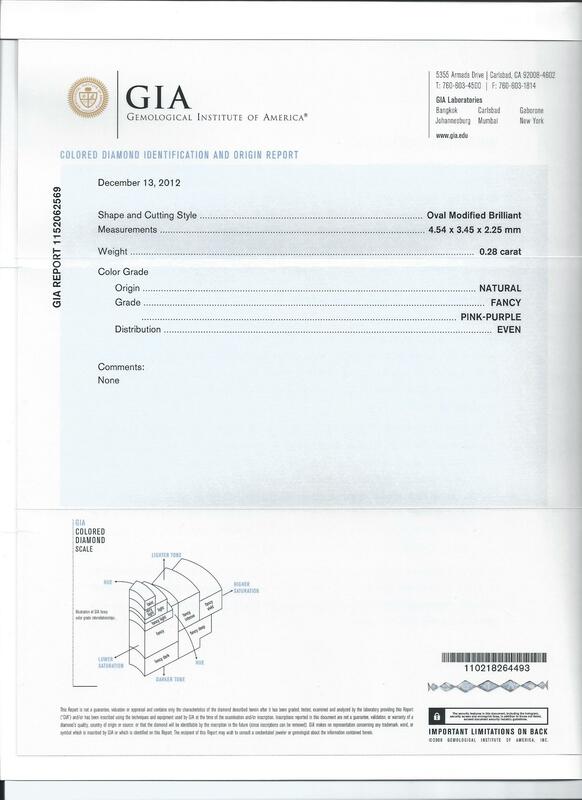 This natural colored diamond is GIA certified.